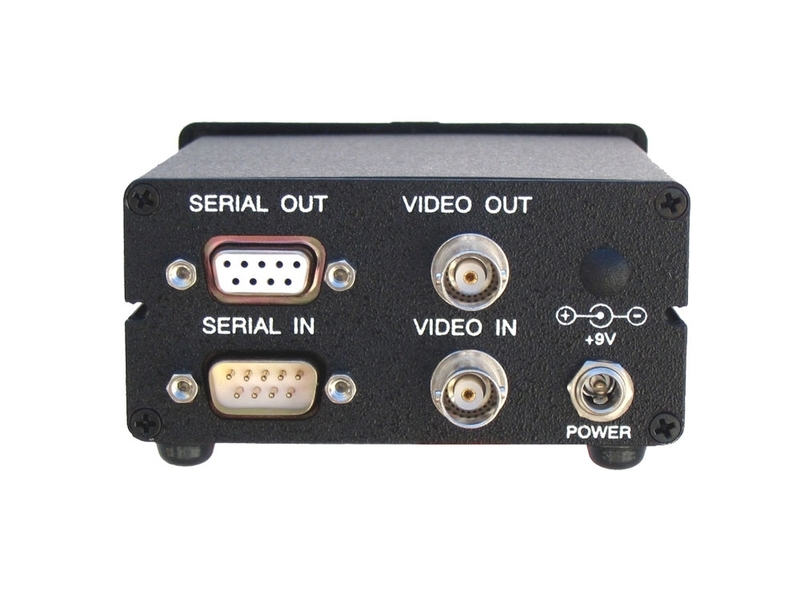 The GPT-50 GPS Video Titler adds real-time GPS data to SD analog composite video for recording or viewing. The video output from the GPT-50 is the same as the video input plus a caption of GPS position and other data, depending on input code format. 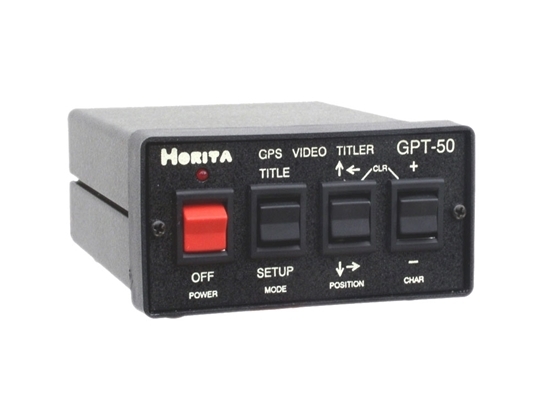 The GPT-50 works with NTSC RS-170A or 625/50 SD analog composite video and RS-232 or RS-422 serial inputs, in several selectable formats. You can select from a total of 12 GPS input code formats. NMEA 0183 sentence $GPGGA (industry standard) or $GPGLL or $GPRMC. Trimble TSIP Binary Format (Trimble Standard Interface Protocol, formerly TANS). Front panel switches for manual setup of format, display options, and entry of titles to provide other captions in addition to the GPS data. Setup information is retained in non-volatile memory and restored at power-on. 14 line and 7 line (half-size) display sizes..
Two setup screens maintain two independent GPT setups. Both ASCII and HEX display formats for diagnostics. Independent real-time clock/calendar display for stand-alone time and date stamping. Dual DB-9 input connectors provide serial input data "loop thru" to additional GPT-50 units for titling. other video sources with the same time and position information. Operates from an external power source of +9 to +14 volt DC. A wall mount 9 volt DC supply is provided.